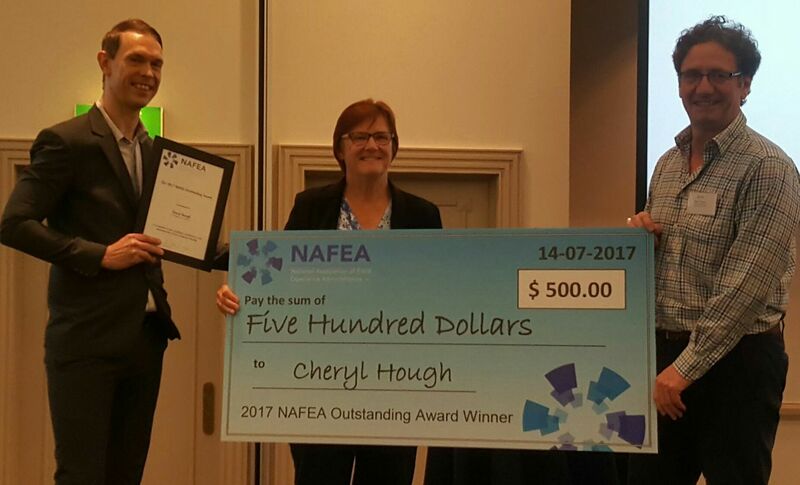 Curtin University’s Cheryl Hough was announced as the recipient of the 2017 National Association of Field Experience Administrators Outstanding Award (NAFEA) at the annual conference in Adelaide on 14 July 2017. Cheryl Hough has been in the Field Experience area since 1982. She leads a School Placement team whose work is integral to the functioning and the reputation of the School of Education and Curtin University. Well done, Cheryl! Well deserved.